I am excited and honored to present the interesting information that UNESCO (the United Nations Educational, Scientific and Cultural Organization) has declared the Shrine of the Bab on Mount Carmel, one of Israel's most renowned beauty spots, as a recipient of world heritage status by a UNESCO committee along with its sister shrine near the Old City of Acre. Â The gardens were opened in 2001 with Baha'i faithful from around the world witnessing their inauguration. Â Establishment of the World Heritage List in 1972 has promoted awareness of the need to both protect and preserve "cultural and natural heritage of outstanding universal value." UNESCO is working to create the conditions for genuine dialogue based upon respect for shared values and the dignity of each civilization and culture. 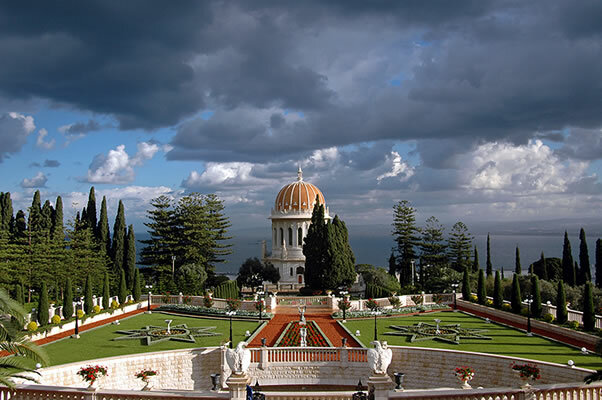 Maintaining this architectural and natural wonder for the benefit of all who come to enjoy its offerings is in keeping with the value and philosophy of the Baha'i faith. 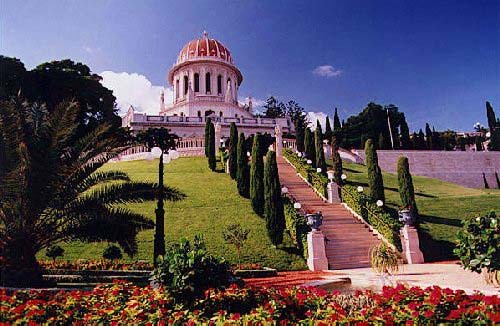 Â Lending greater import at this location is that the sites are the resting places of the founders of the Baha'i faith - the Bab and Bahaullah. This declaration by UNESCO is not the first award presented to a location in Israel.Â the Melina Mercouri International Prize rewards outstanding examples of action to safeguard and enhance the world's major cultural landscapes.Â UNESCO explains on their site: "Certain sites reflect specific techniques of land use that guarantee and sustain biological diversity. Others, associated in the minds of the communities with powerful beliefs and artistic and traditional customs, embody an exceptional spiritual relationship of people with nature. "Â To date, 55 properties on the World Heritage List have been included as cultural landscape and this includes the "Incense Route - Desert Cities in the Negev." The World Heritage Committee inscribed the Incense Route and Desert Cities in the Negev (Israel) on the World Heritage List on the basis of cultural criteria.